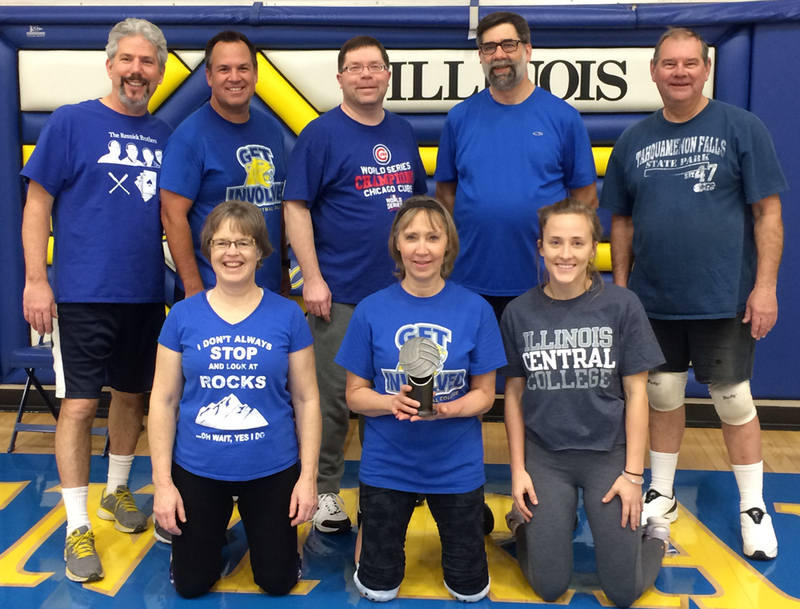 True to its team color, the blue team gave the other squads the blues in taking first place in the Celebration of Learning Employee Volleyball Tournament, held Jan. 13 in the Lorene M. Ramsey Gymnasium. Members of the winning team included John Armon, Molly Bragg, Jeff Constable, Cathy Hardy, Corey Lyons, Marty Potts, Cheryl Resnick and Paul Resnick (captain). 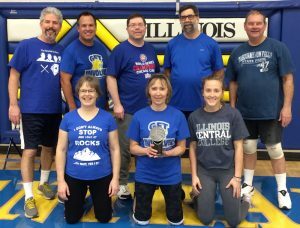 The gray team took second place in the tournament. 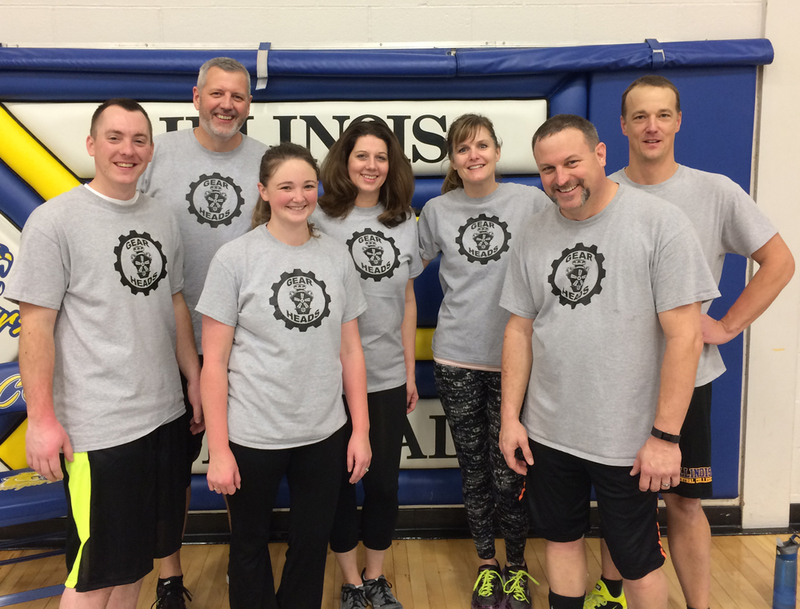 Team members included Corinne Brown, Todd Fortier, Kristin Imm, Trevor Imm (captain), Blake Lehman, David Morgenstern and Jessica Trad. 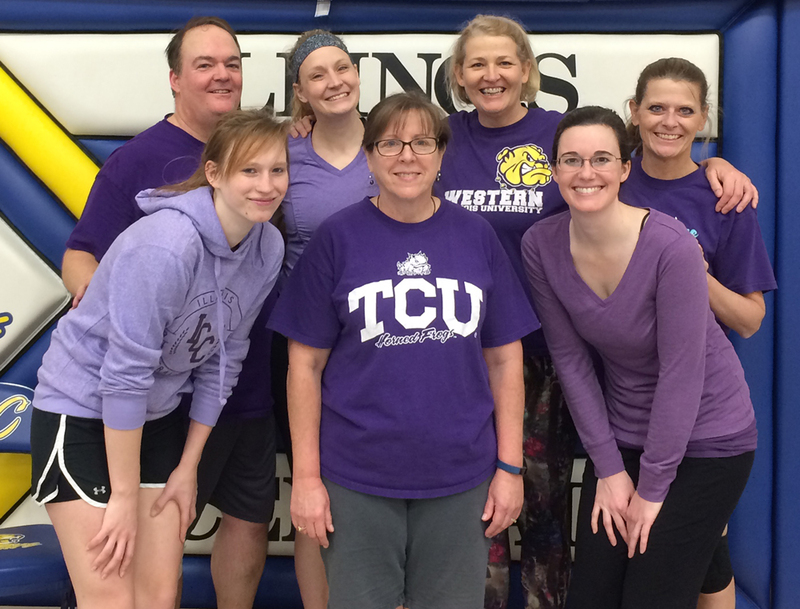 The purple squad set the table for a “worst to first” comeback next year by finishing in third place. 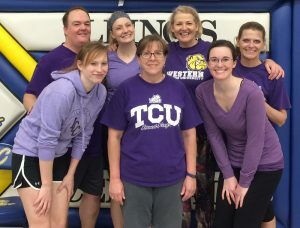 Team members included Nancy Heuer-Evans, Loyd Kirby (captain), Michelle Nielsen Ott, Erika Schwiderski, Kelly Thannum, Stacy Turpen and Jasmin Young. Thanks to Athletic Director and volleyball coach Sue Sinclair, athletic trainer Traci Reach, administrative assistant Cindy Wegner and ICC volleyball team members Brooke Gardner, Alexus Mercer and Taylor Shaw (who served as officials and scoreboard operator) for all of their assistance in the organization and operation of the practice and games of the tournament. In addition, special thanks to Michelle Nielsen Ott for all her work in coordinating the tournament.